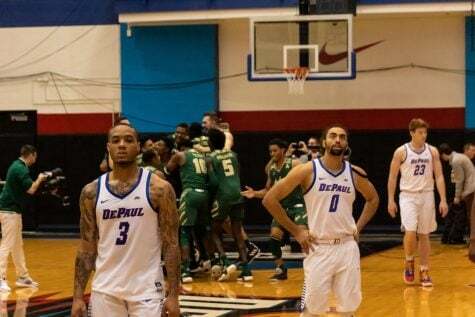 MILWAUKEE— Facing a 13-point halftime deficit on the road and trailing for the first time by double digits at halftime all season, DePaul battled back in the second half but was not able to get any closer than four as they fell 79-69 to No. 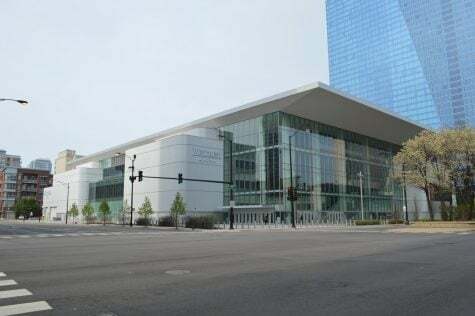 12/11 Marquette Wednesday night at Fiserv Forum in Milwaukee, WI. DePaul did jump out to an early 16-12 lead through the first 10 minutes, as Marquette started just 5-of-15 from the field. 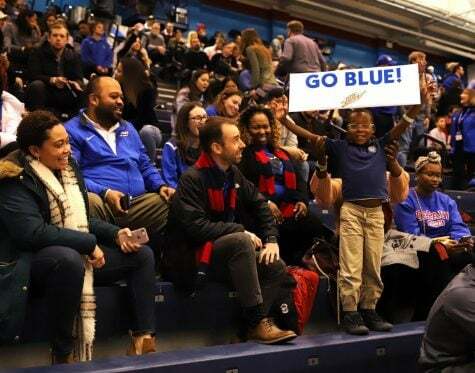 The Golden Eagles quickly tied the game, however, after consecutive technical fouls were given to DePaul sophomore Jaylen Butz and the Blue Demon bench after Butz was called for an offensive foul. Marquette junior Markus Howard knocked down all four free throws to tie the game. DePaul responded with a layup from senior forward Femi Olujobi and led 21-18 following an Eli Cain 3-point play with 6:23 to play. 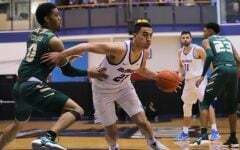 The final six minutes belonged to the Golden Eagles, however, as they closed the half on a 22-6 run to take a 40-27 halftime lead. After the Blue Demons held Marquette second-leading scorer Sam Hauser scoreless over the first 13 minutes, he scored 10 points in the final six minutes as the Golden Eagles also received a lift from Theo John who scored five straight points to help jumpstart Marquette. The Blue Demons were just 3-10 from the field to close out the half. 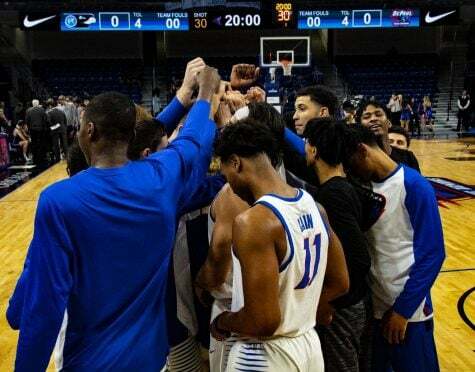 DePaul head coach Dave Leitao was happy with the way his team opened the game, but said the message at halftime focused on getting more stops and getting back to playing with a better flow that hurt them late in the half. 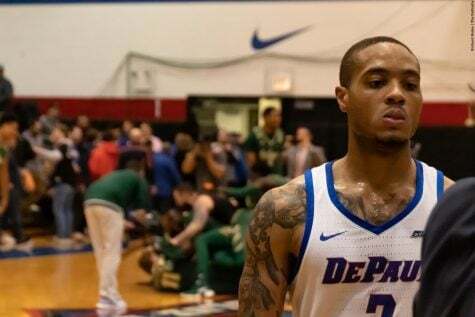 DePaul was not going away quietly, however, as they opened the second half on an 8-0 run, with five of those eight points coming from Paul Reed as DePaul cut the deficit to five with 17:39 remaining. 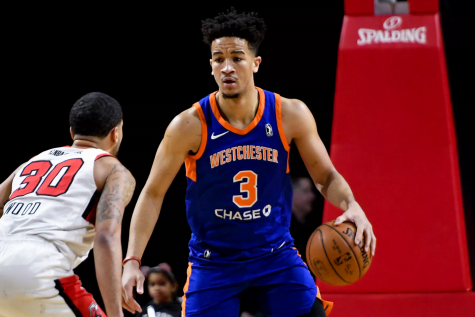 Reed and Femi Olujobi bounced back from tough first halves as Reed finished with 18 points and seven rebounds, while Olujobi finished with 15 points and 11 rebounds, although he was limited to just six shots. 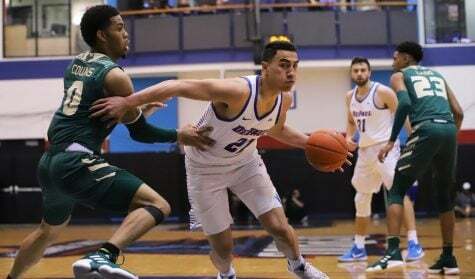 Leitao added, similar to Marquette it’s important for DePaul to have an good inside-out balance for them to be the offense they can be. 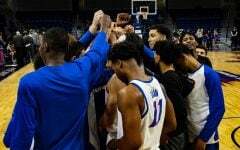 The Blue Demons were able to edge their way back into the game by forcing five Marquette turnovers in the first seven minutes as the Golden Eagles also opened the half just 2-of-7 from the field. 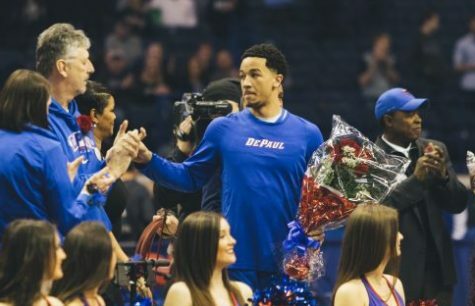 DePaul senior Max Strus said it was important for the visitors to start the second half fast and respond after Marquette controlled the opening 20 minutes. 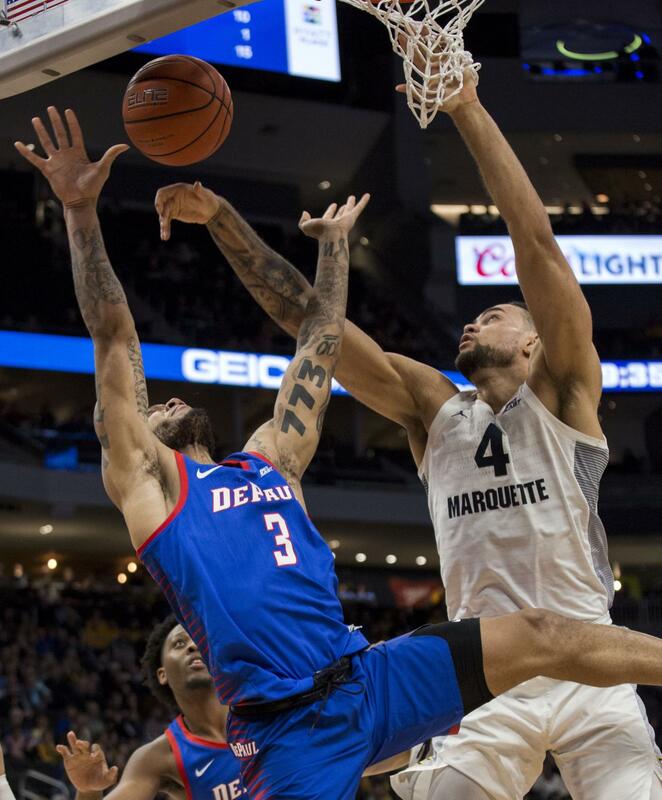 After four straight points from Theo John gave Marquette a 56-48 lead with 8:38 remaining, DePaul continued to stay within reach after consecutive layups from Strus and Reed prompted another Marquette timeout with just over seven minutes to go. 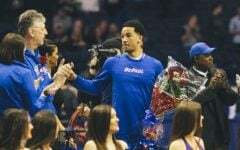 Four times in the second half DePaul cut the deficit back down to four, but that was as close as they would get as John and Howard continued to keep the Blue Demons at arms length. Down the stretch, however, DePaul not slow down Howard and John as they combined to score 13 straight points for Marquette as they built a nine-point lead with 3:51 to go. Howard finished with 23 points, but was held without a 3-pointer and also turned it over eight times. John, however, hurt DePaul time again with 16 points, 10 rebounds and six blocks. DePaul continues its road trip on Sunday against Providence. Olujobi said the approach for the team remains the same as they close out the three-game road trip. 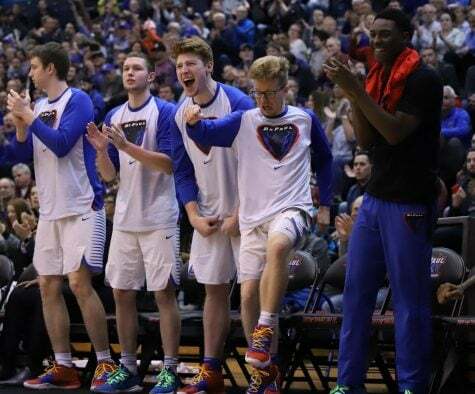 Prior to the game DePaul wore shirts and wristbands while warming up that read “I know a fighter” and “#sahistrong” in support of DePaul student manager Aameer Sahi, who DePaul athletics says is fighting neurofibromatosis. 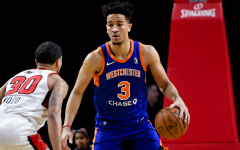 Paul Reed is quickly emerging as the best player on this team. Good to know he will be returning for another couple of years.